Stretching for 30 km along the north shore of the Ottawa River, the Voyageurs Pathway follows the route taken many years ago by First Nations people, explorers, coureurs des bois and Jesuit missionaries. It offers spectacular views of Parliament Hill and the Canadian Museum of History. 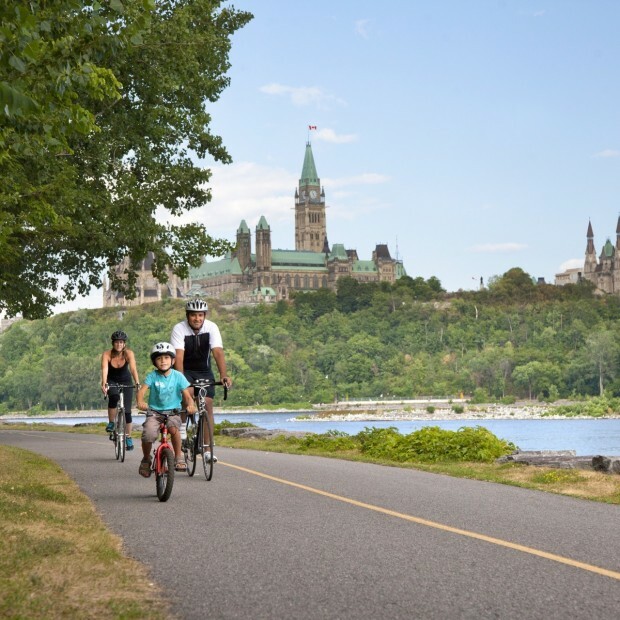 A great way to discover the region by bike, on in-line skates or on foot! The Voyageurs Pathway is managed and maintained by the National Capital Commission.